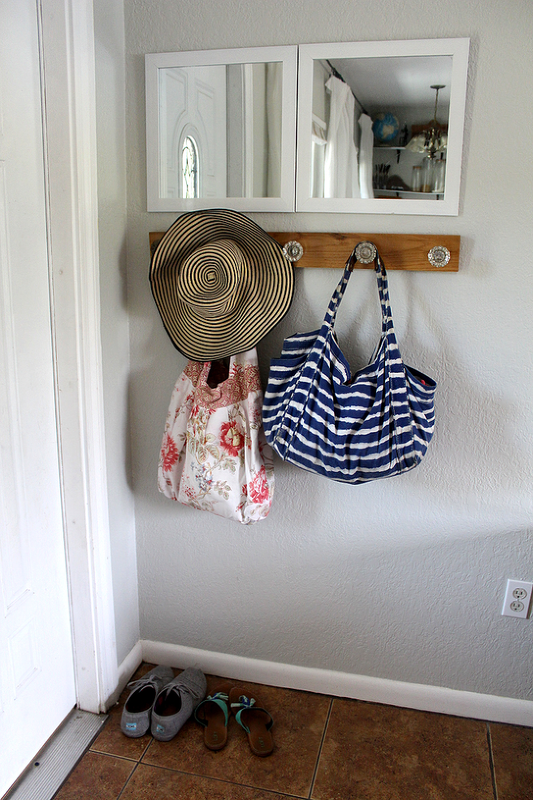 This Season, Say Goodbye to Your Messy Entryway For Good! As the cooler season sweeps through your home, a neat entryway is usually the first room to go. Coats, gloves, scarves, hats - sometimes you're surprised you can make in through the front door with all that cold-weather couture blocking hallway traffic. As the cooler season sweeps through your home, a neat entryway is usually the first room to go. Coats, gloves, scarves, hats - sometimes you're surprised you can make in through the front door with all that cold-weather couture blocking hallway traffic. 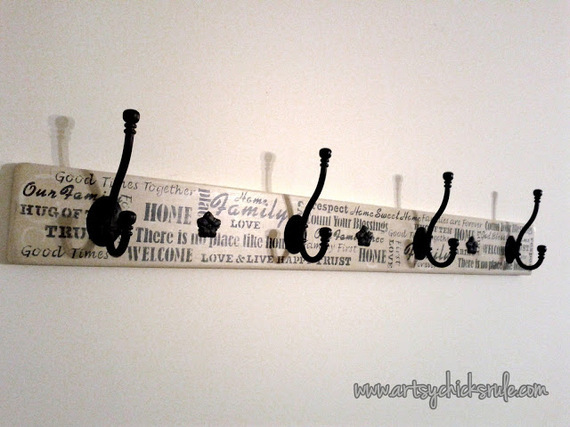 Why not make your life a little easier this summer, and put up a coat rack that's perfectly suited to your style and your craftsmanship. Check out these incredible projects below and choose your solution to this cold-weather wardrobe disaster. Fabulously wacky and colorful, this piece is great for a zany-chic edition to your entryway. Throw in that it's an easy organizer and oh so simple to make, and it's a huge win! Clean and simple, all this coat rack takes is a set of wide dowels, a box of double sided screws, and some creative color coordination. If you're looking for something a bit more sophisticated and understated, this fashion-meets-function coat rack is ideal for a DIY beginner looking to gain a little organization. It's not as hard as it looks, but it is as amazing! 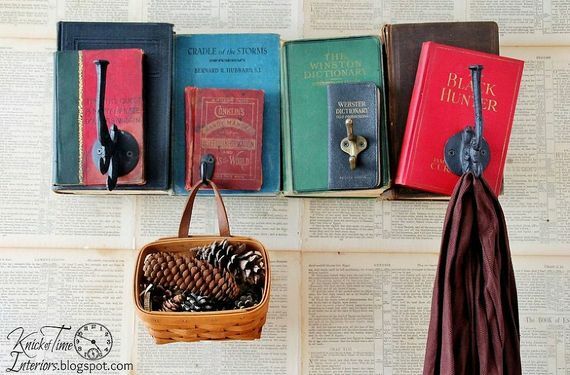 One wooden bar and a bit or strategic screw placement, and you can have your own entryway book coat rack that's almost too good to cover up! While the design is simple, working with glass door knobs can be a bit tricky, but just look at the outcome! 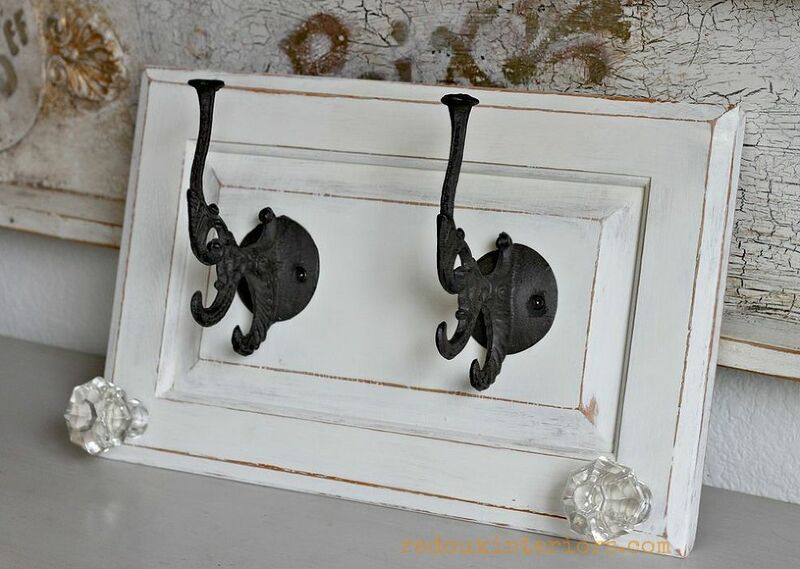 For a beachy cottage style storage piece, this door knob rack is the only way to go! For a vintage look that you're ready to DIY, rustle up some out-of-use cabinet doors, give them a chippy paint job, and add original knobs and some new coat hooks, for cabinet coat rack galore! 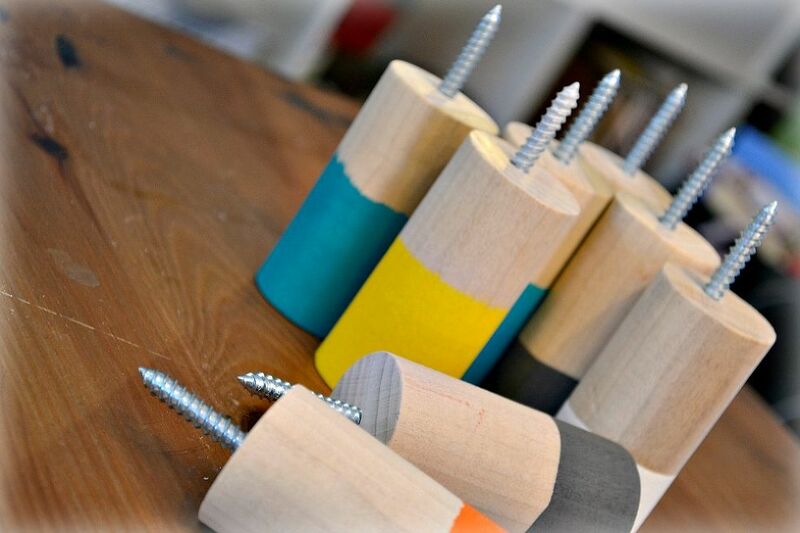 If woodworking is your thing, you're up to the challenge; you just need the inspiration. 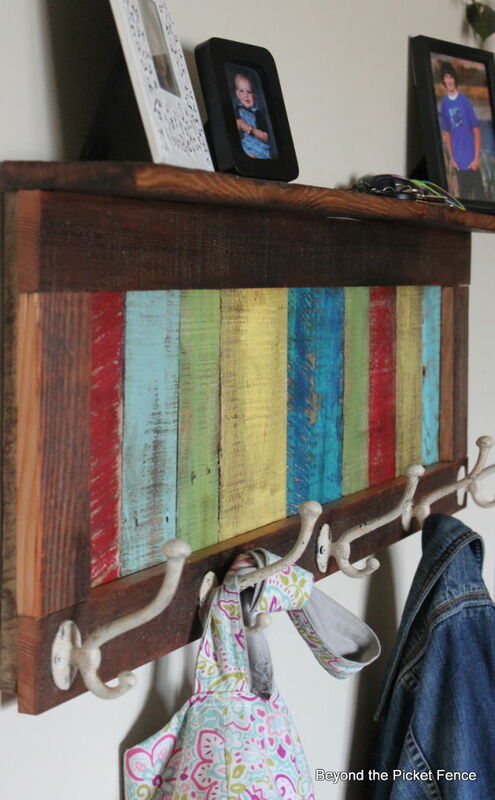 And luckily for you, this colorful repurposed pallet project, well made and well loved, is it! Sometimes, a repurpose on its own just isn't enough, so it's a good thing you're not afraid to get down to a little woodworking and repainting, for a headboard coat rack like this. 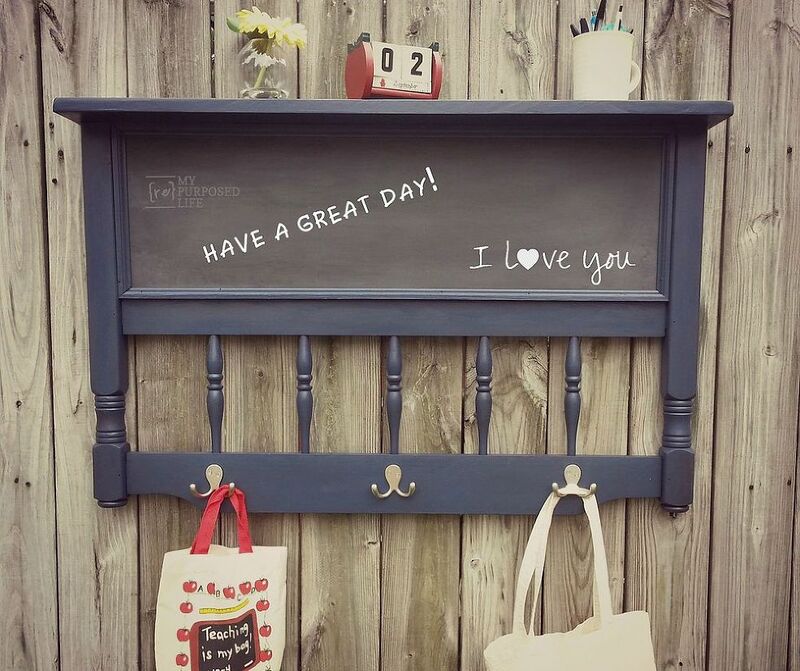 And if that's not convincing enough, this adorable chalkboard sure is! 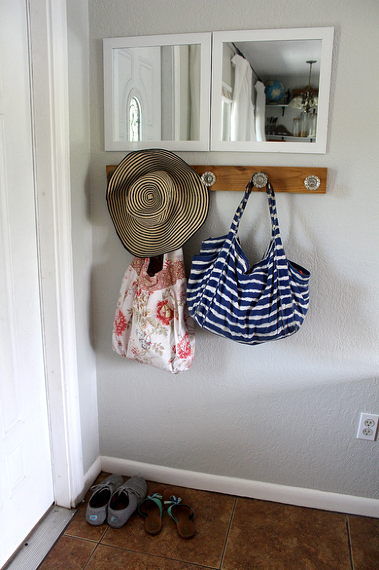 You're ready for a full-on entryway reno! 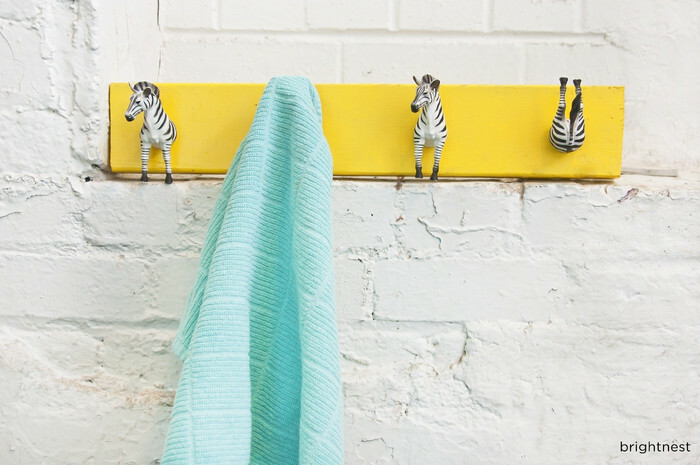 But there's no need to tear out walls or rip up flooring - with some simple wooden boards, a neutral coat of paint, and some coat hooks, make yourself a board and batten wall and forget what messy even means! For more brilliant ideas and DIYs to keep your home in order, check out our organizing topic page on Hometalk.